Jimmy John’s freaky fast. That’s their saying. And also they are an incredible option for keto meals. You may not think it because they are a sandwich shop, but let us show you the way. There are some incredible Jimmy John’s keto options. 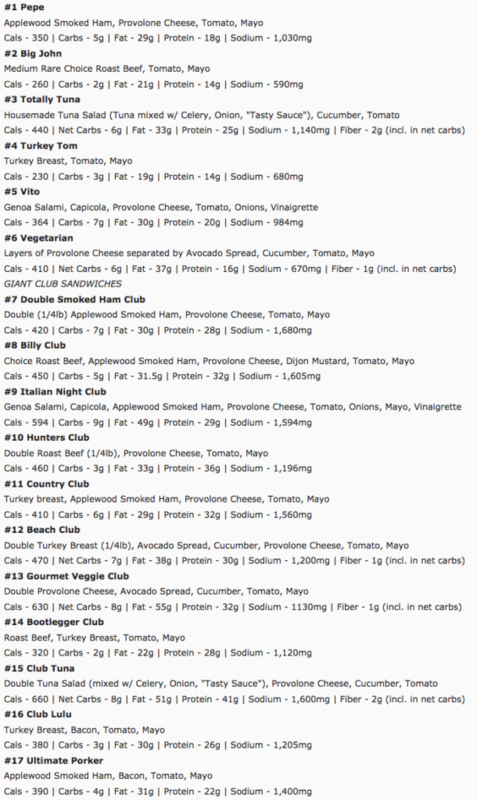 Before we go over the options on the menu that are low carb, let’s talk about what makes Jimmy John’s so great. First off, they offer free delivery with a very low minimum order. You can be at work by yourself and get a lunch delivered with a tip for under $10. It’s awesome. The freaky fast thing isn’t just a gimmick. They deliver in no time. After you make your order, you can get that sucker in as fast as ten minutes, depending on how close they are to you. It’s great. Another great option when you are ordering Jimmy John’s is they have a very user friendly online ordering system. So if you are a fan of a quick, seamless online ordering process, this is as good as it gets. Check it out: order online with Jimmy John’s. You can order an “unwich.” This is when they replace your bread by wrapping the sandwich in lettuce. It’s such a great thing for keto dieters. Alright, now let’s get into it. Here it is. The ultimate keto option. Lots of fat, lots of calories, low carbs. You can knock it down to 8 g of carbs if you go no onion. This is such a great keto sandwich. They wrap it in lettuce. If you are apprehensive about that, TRUST ME, it’s great. At least give it a try. Odds are you will have a go-to keto delivery option. This is one of my go-to options when it comes to the keto diet. It’s very filling and depending on which sandwich you choose, you can definitely load it up with fat. When it comes to toppings, there’s oil and avocado. Any keto dieter knows this is an awesome way to boost the fat content in your meal. How great is that? For your sake, I hope you have a Jimmy John’s in your town. They are almost everywhere, in my experiences, so good luck. No sense in messing around. Get your Jimmy John’s keto on!